My first big book signing was at Barnes & Noble when A Cup of Comfort Cookbook was first released. Would you believe? I had three entries in it? “Noodle Nuts” page 174, “When You Are Left Behind” page 275, and “Greenie Magic” page 318. 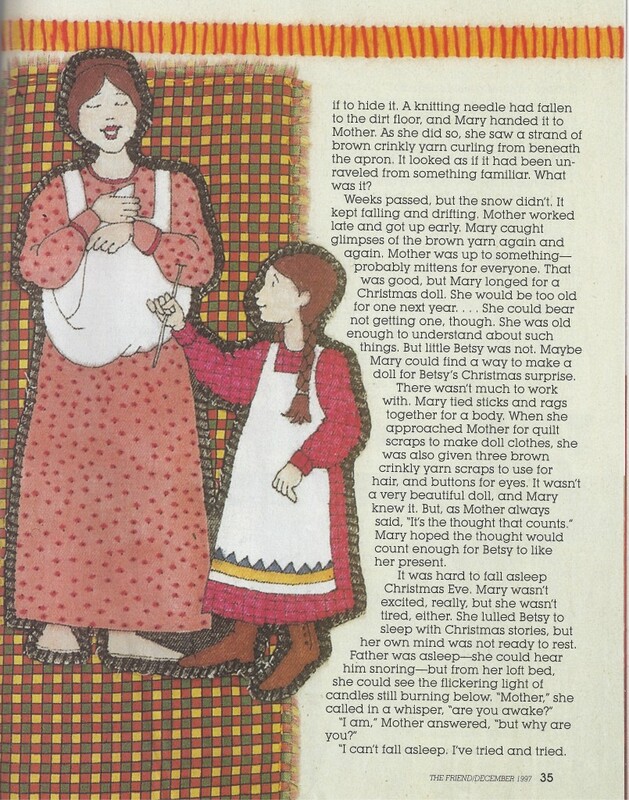 A favorite family recipe accompanied each story. It was awesome. My amazing friends and family supported me so well the Rob who managed the book signing said I could come back anytime. 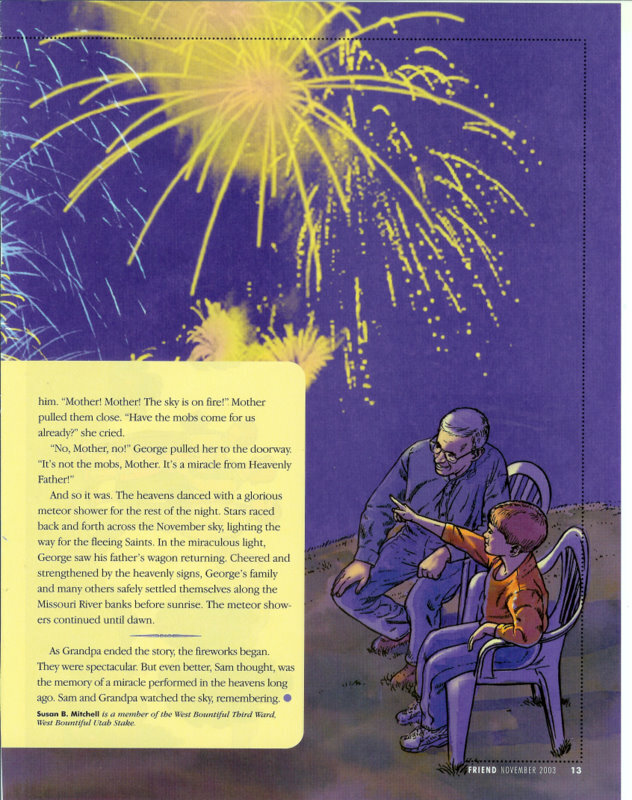 “Actually, That’s My Grandpa” is a Christmas story published in A Cup of Comfort for Grandparents” page 18. it is written in the first-person of a little boy who watches his grandfather turn into Santa’s helper. The Red Leaf in Springville was one of my favorite Bookstores. Margie hosted several signings for me and it broke my heart when she moved back East. The best was a ladies-night book party. She planned prizes and treats. 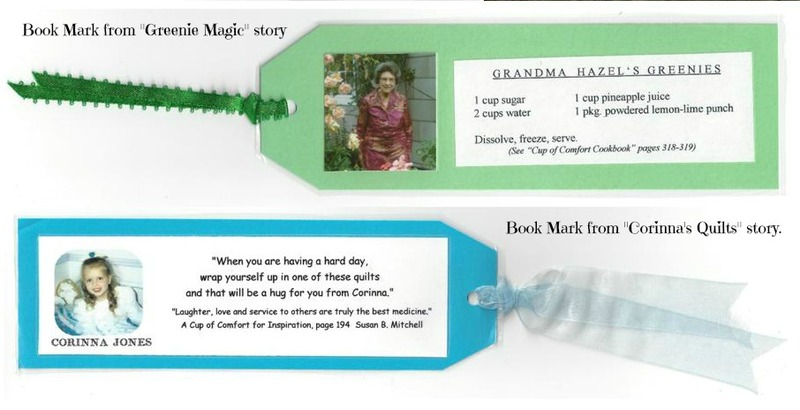 I made bookmarks for two of my books: Grandma’s greenie recipe (glorified ice cubes) for A Cup of Comfort Cookbook and Corinna’s framed “quilt hugs” quote that hangs in the hospital as told in A Cup of Comfort for Inspiration. 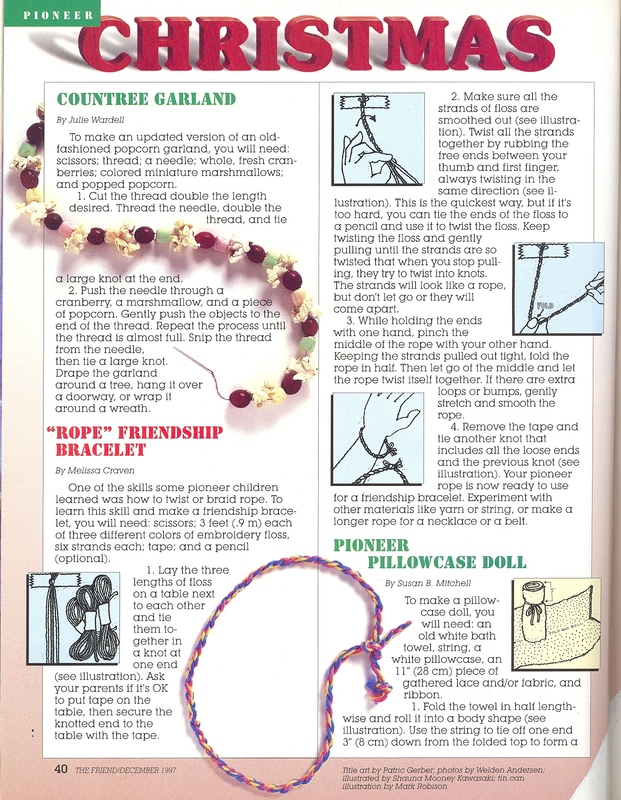 Since I was tiny I have loved the Children’s Friend Magazine. You can imagine my excitement when they purchased and published my story. 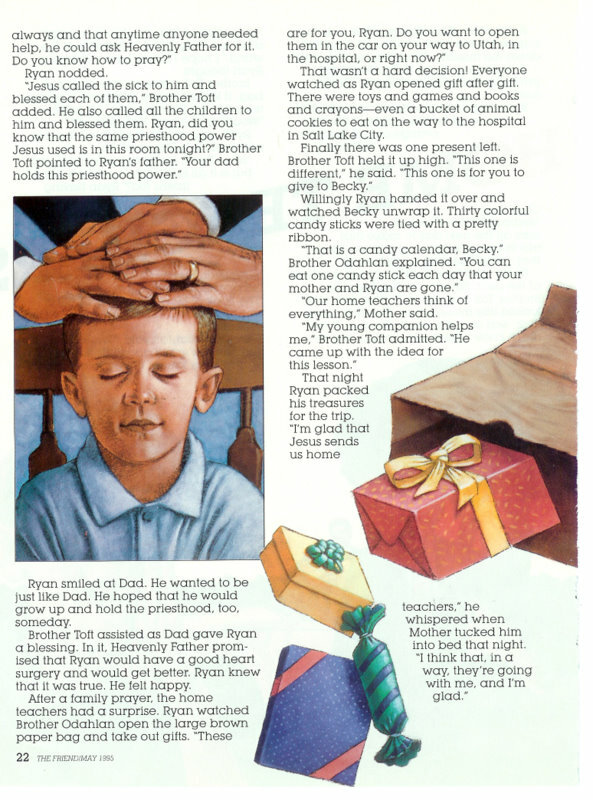 Actually, “Ryan’s Home Teacher” is our son’s story. 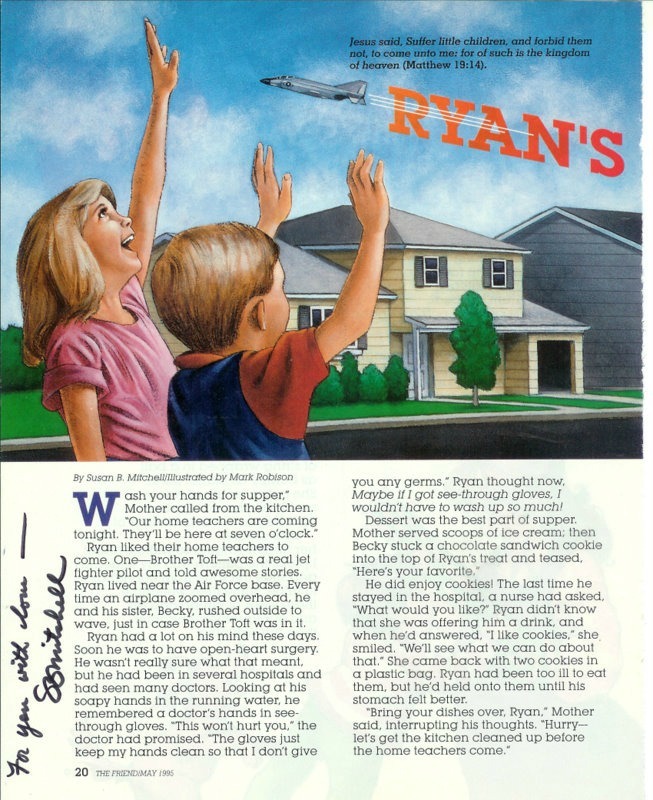 I offered to send a photo of Ryan and his sister Becki, but for some reason they do not allow author/artist communication. 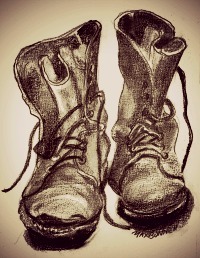 I was thrilled with the drawings and came to realize that the artist didn’t need any coaching from me. He too was praying for inspiration from the same divine coach. Two Highlights: 1) One night my friend called from Wyoming. We both have Ryans about the same age and her Tiffany is the same age as my Becki. A familiar feeling came over her while reading a bedtime story. 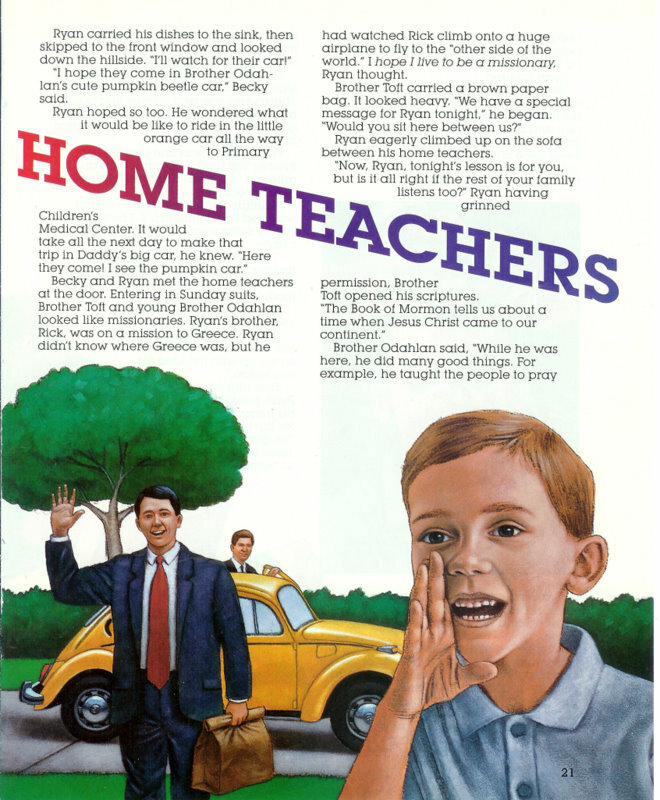 “I checked the byline,” she said, and it was YOU!” 2) Our son-in-law came home from Elders Quorum saying, “They used your mom’s story to illustrate good home teaching today.” How fun is that? 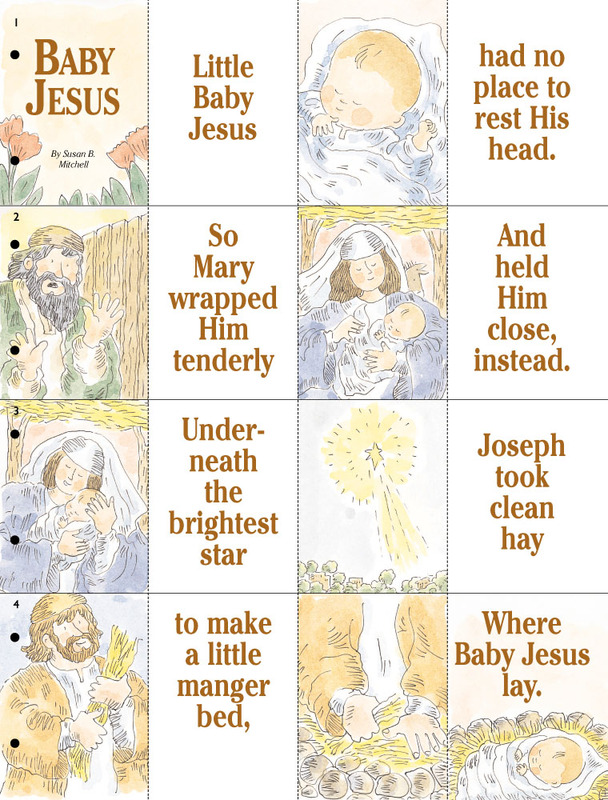 Shortly after they printed this Christmas story the Friend stopped taking fiction. 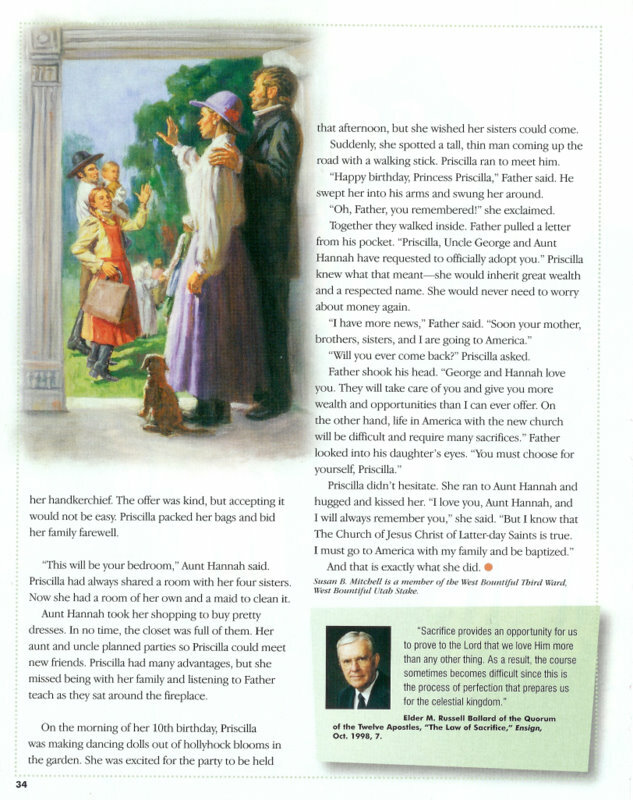 All content must now be accurate and documented so it can be used in Primary and church classes. I had already submitted a fun puppet show, but it could not be used because animals do not really talk. Our daughter called from Alaska. 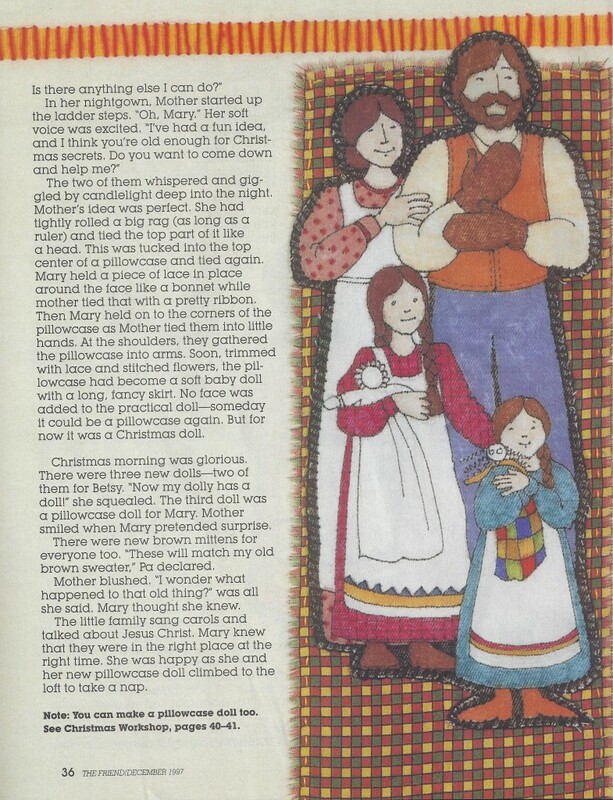 “Mom, they demonstrated how to make a pillowcase doll in Relief Society today. They were referencing the Friend Magazine and I couldn’t resist telling them that the author is my mother.” Now, how fun is that? I was serving in Primary Nursery when this one surfaced. It started out as a little finger play. 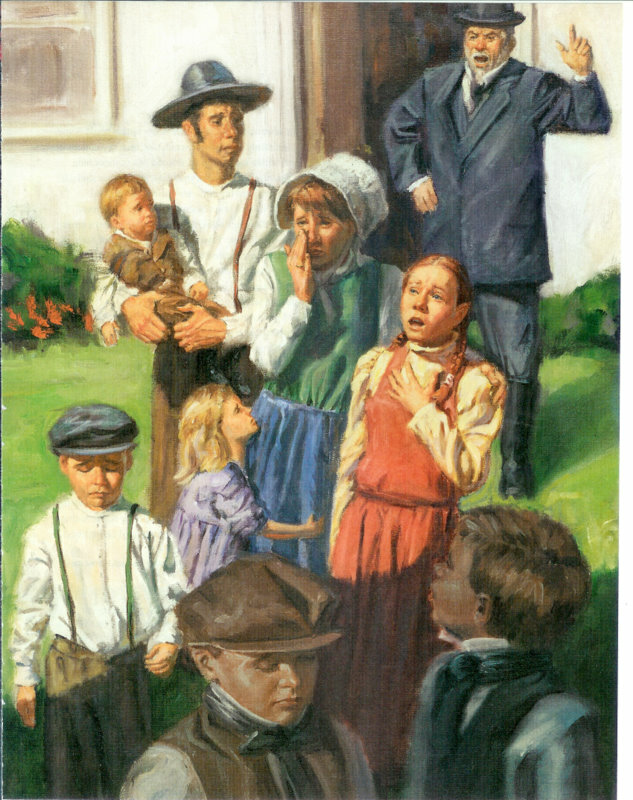 The children acted out the rhyme. The Friend, however, made it into a tiny book. Just cut on the solid lines and fold on the dotted lines. Eunice Billings (Warner-Snow) was the only daughter of Titus and Diantha (Morley) Billings. 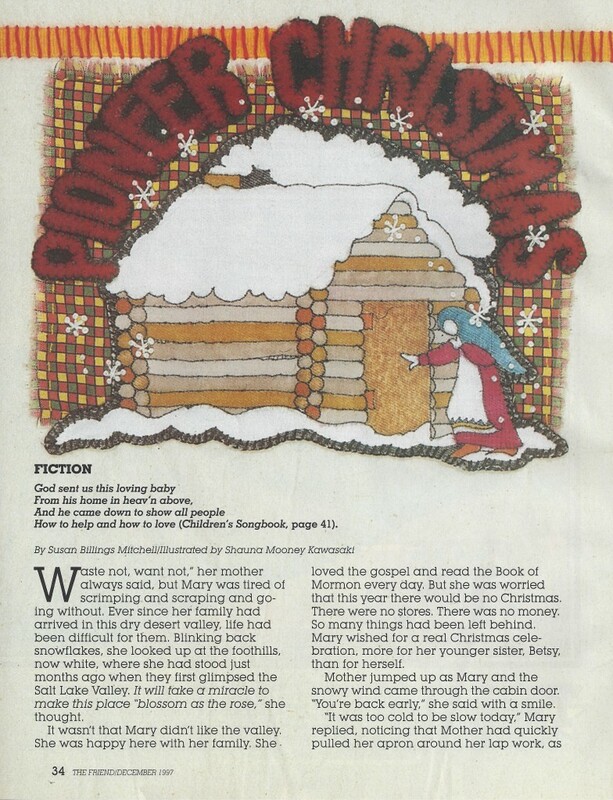 How interesting that a Billings author wrote the story and a Morley artist illustrated it. I hope Eunice is pleased. They say the Primary chorister is like a Gospel Doctrine Teacher for children. I love that calling. 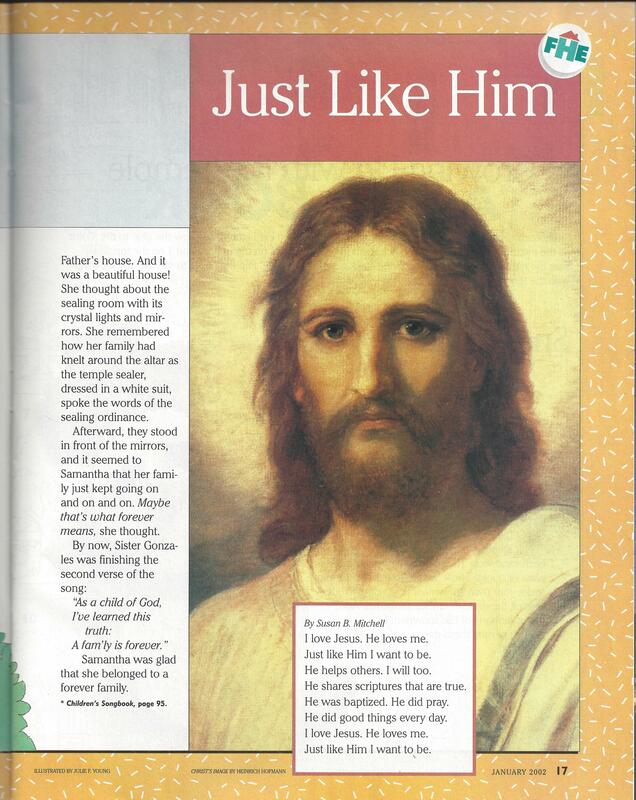 With pictures representing Primary songs I did a “Just Like Him” presentation. Afterward a teacher came up to me and said, “You really need to send that in to the Friend Magazine.” How kind, I thought, but when the idea prompted me more than once I submitted it as a poem. 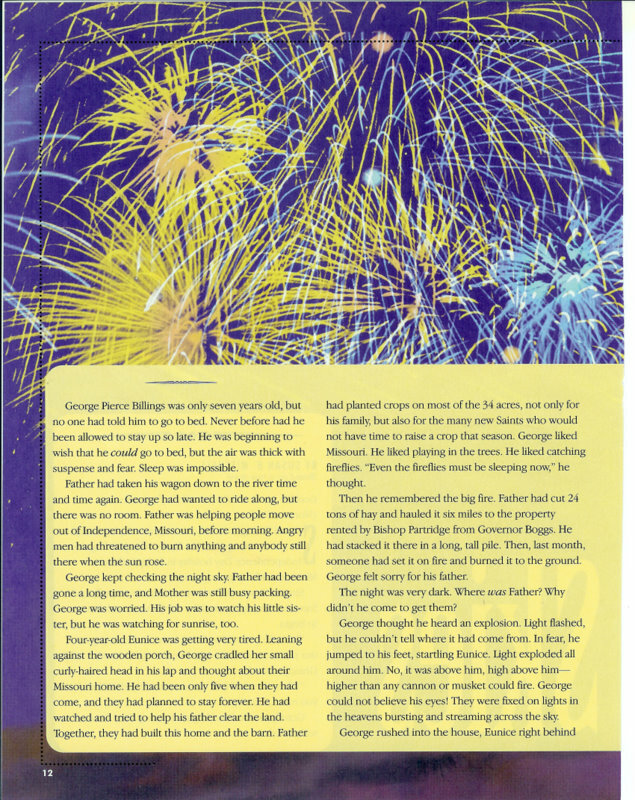 A complimentary copy of the Friend Magazine is sent out to the author so I usually have a heads up before my story used. In this case, however, we were traveling and I had not received word that the poem had been selected for the next issue. We were ready early for church while visiting our daughter in Arizona when I noticed the new issue on her coffee – hot chocolate table. 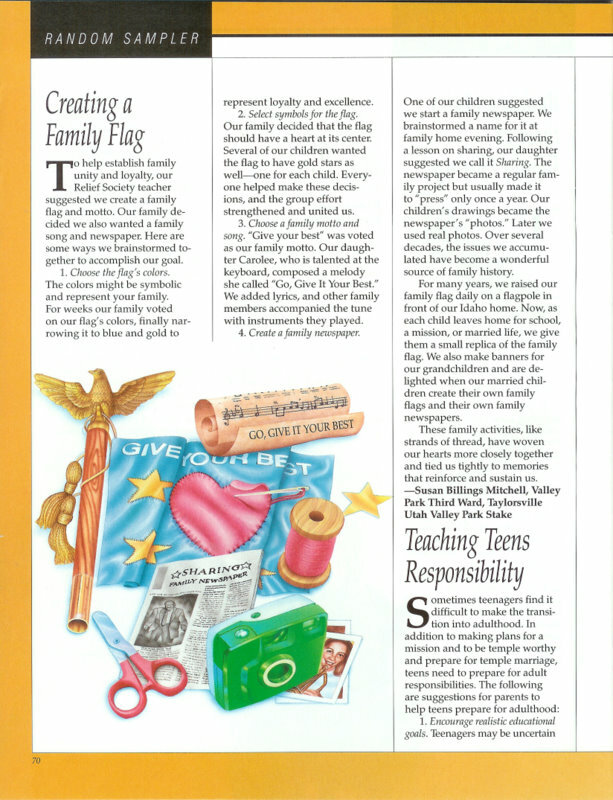 I sat down on her couch and opened the magazine to page 17. The title jumped out at me. What? There it was . . . my little poem in print. Shortly thereafter Jason called to tell me it was really a song. “If you sing it to the tune of ‘I Love Mother’ it fits perfectly,” he said. Now we sing it all the time. 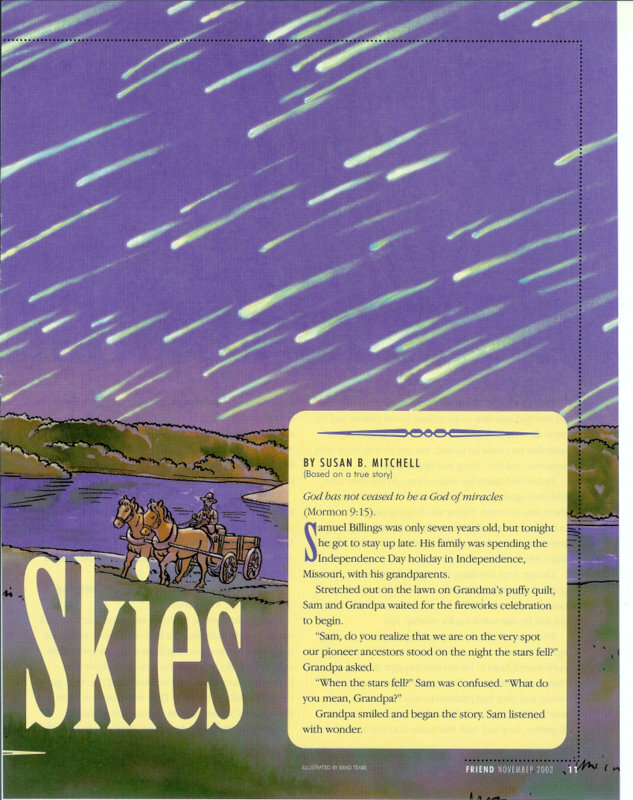 The account of stars falling the night of November 12, 1833 has always intrigued me. Later, it amazed me that Great-Great-Grandpa Titus Billings was really there hauling Jackson County families to the river bank so they could ferry over to Clay County for safety. I think the Lord was speaking loud and clear to comfort his people and to warn their enemies. 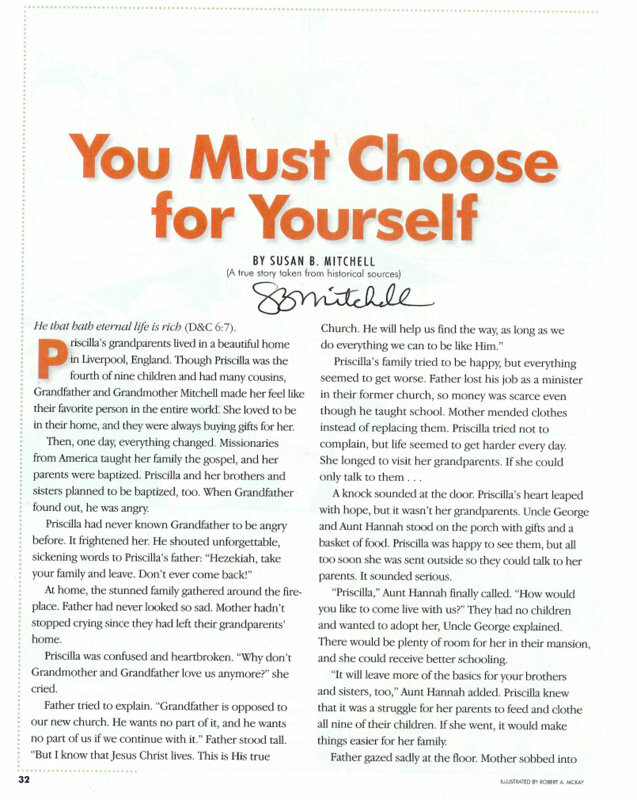 Priscilla Victoria Mitchell-Christensen is one of my heroes. I love her story. She was a woman of great faith. 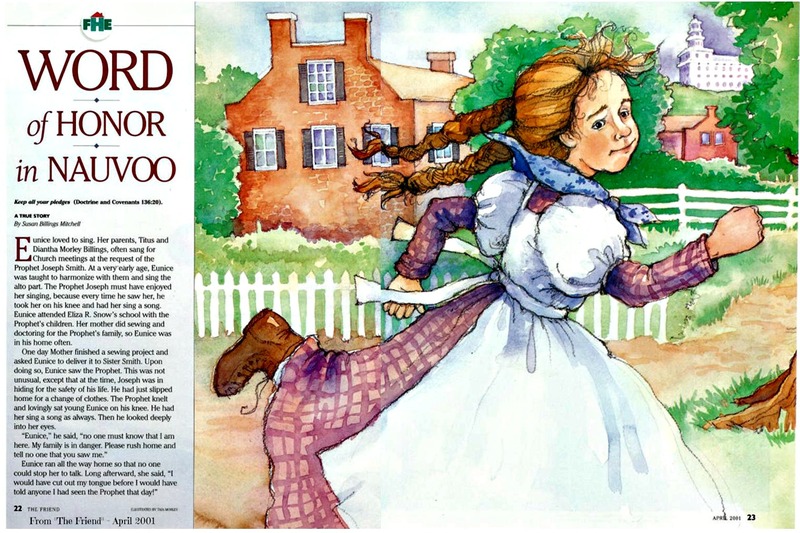 She walked across the plains as a young girl. She sewed clothing and braided carpets. At her sudden death from bursting appendicitis she left a hand tailored suit with bound button holes needing only the buttons stitched on it for her husband. 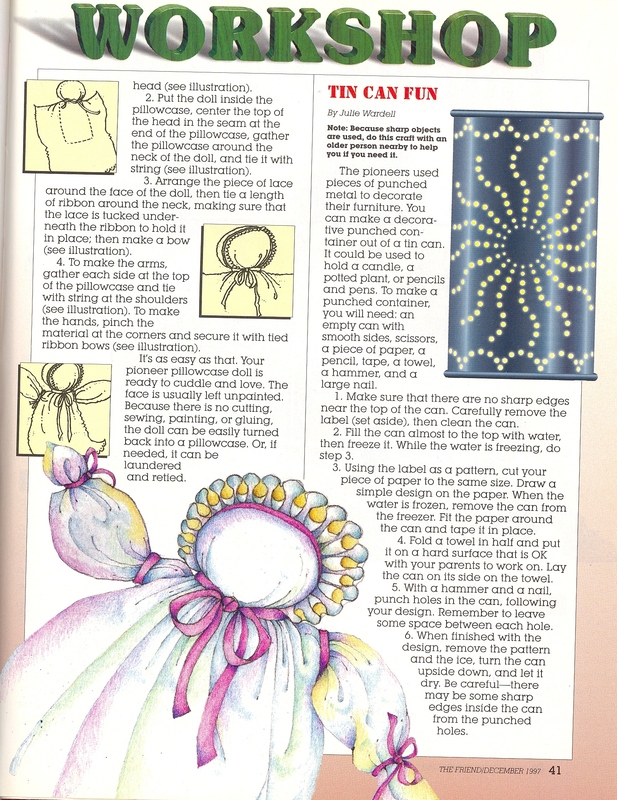 I could hardly believe it when this article was published in the Ensign Magazine – to me the ultimate. Guess I wasn’t the only one who was surprised. 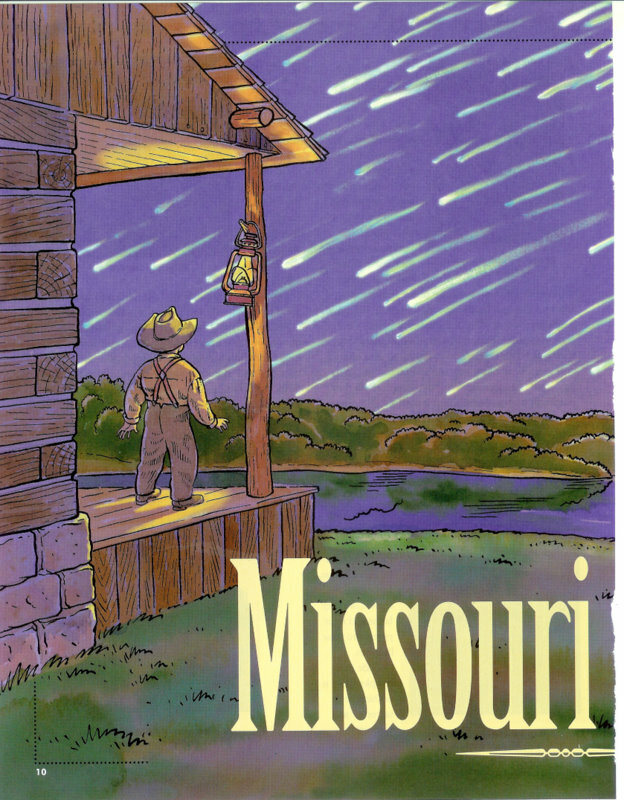 My son called from Kansas. “Someone stole our flag!” he said. “Whatever do you mean?” I asked. “They put our family flag in the Ensign.” “Who put it there?” “I don’t know . . . (he was looking) . . . oh mom, it’s you!” I have to admit that is the first and probably the only time I’ll ever get one up on him. It was worth it.